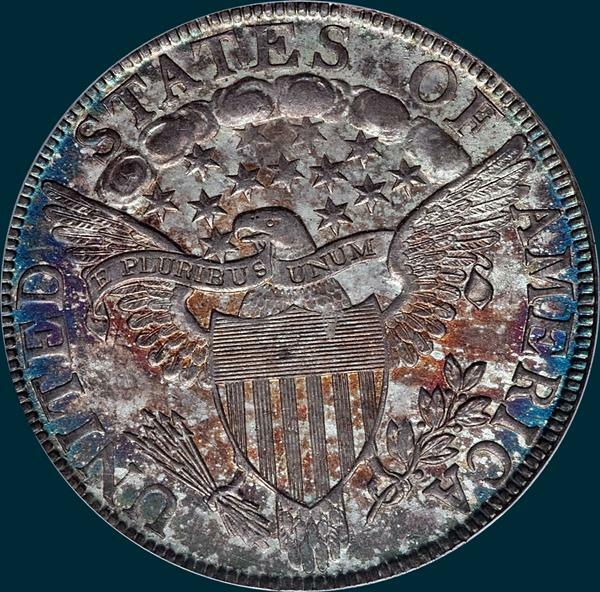 The last use of the obverse die. 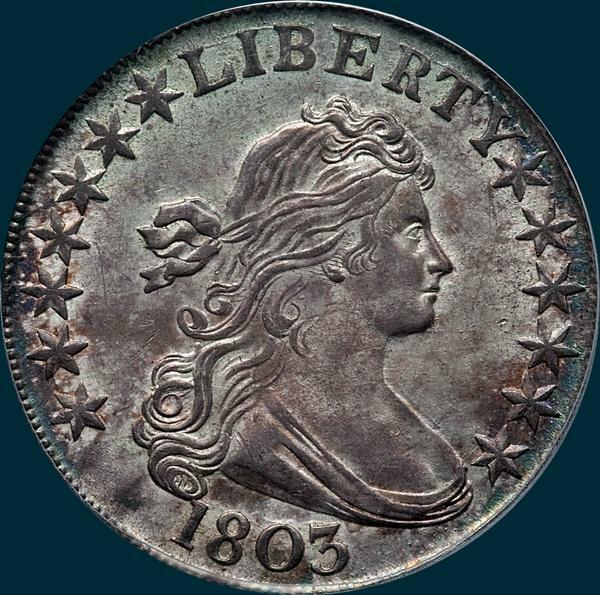 MS examples are very rare, but lower grade AU and XF coins are somewhat easier to obtain. Variety Attribution: Obverse-Stars all large and sharp. Stars 7 and 8 very close to L and Y. 1 touches curl. The large 3 is close to bust and has a vertical serif at top. Some show a fine die crack at top of LIBERTY. Reverse-5 Berries and lowest berry has a very short stem, 13 arrows. Leaf is very close to right base of I. Star attached to front of beak well above the point. Usually there is a faint die crack beginning at ST then through clounds below TATE and upward at ES.